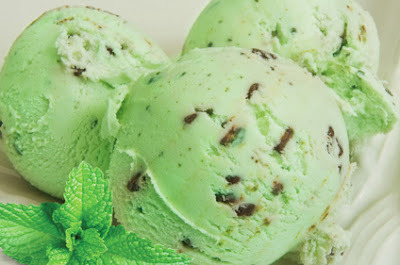 This week's ice cream flavour for Summer of Color has been Mint Chocolate Chip. I tore a piece from an old map which was mostly mint green and stuck it on the page. I put some Dylusions Melted Chocolate Ink over the top as well as some modelling paste through a Julie Fei-Fan Balzer stencil. I also used some gesso, some white and some black acrylic paint before stamping with Archival Aquamarine ink. I feel there's something missing so it's perhaps not finished but I can come back to it any time. Love the feel of this - I love your stencil choice- it is one of my dirtiest stencils because I use it often! I love maps on journal pages. You did a wonderful job with your page. Its turned out great hasnt it - I am sure inspiration will strike you soon and you will get it finished! REally nice! I might be tempted to take a pencil eraser (a small round one), dip it in chocolate brown paint and place a few dots here and there. I think the size and shape would be right to balance the elements in your design. That stencil was ideal. Love this. I love this - the maps really work for me (I used some on my piece this week - they were about the only things in my stash in the right colour for this weeks challenge!). I love your stenciling and use of textures - a beautiful piece of work. I love all the elements, the map, the stencils, the colors. Beautiful.